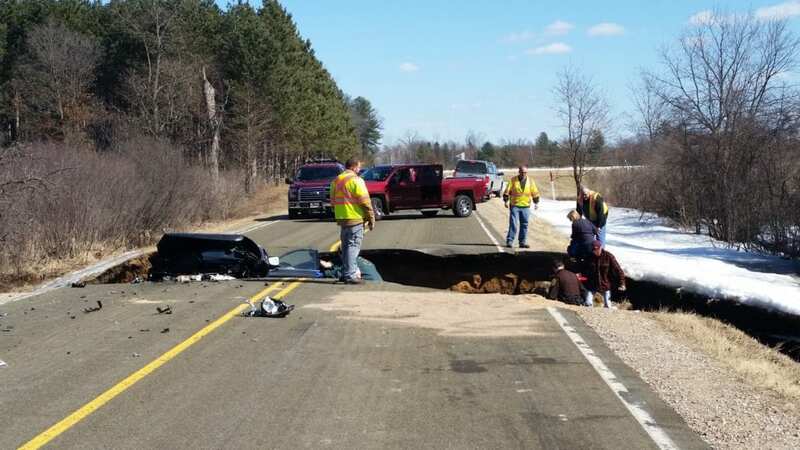 Adams County emergency responders had to pull a woman from her S-U-V after she accidentally drove into a crater in the pavement on County Highway-J. A television news crew covering flooding near Friendship found the car and the driver in that hole Tuesday afternoon. It isn’t known how long she was stuck in the hole and her name hasn’t been released. Authorities in Adams County say this is the second time flooding has caused a problem which trapped an unsuspecting driver since the waters started to rise. This entry was posted by WRJC WebMaster on March 20, 2019 at 2:04 pm, and is filled under Local News. Follow any responses to this post through RSS 2.0. Both comments and pings are currently closed.